ACLS Humanities E-Book (HEB) has just announced its new pricing for the upcoming calendar year. Pricing for 2017 reflects a moderate increase for all subscription tiers to address the significant collection growth over the past three years, from just under 4,000 titles to 5,000 titles with our upcoming fall release. You can find details on new prices, going into effect January 1, our website. As many of our top-hit titles—you can see the most recent list here—include books frequently acquired in print by academic librarians for use by faculty and students, for most subscribers there are considerable financial advantages to subscribing to the HEB collection. Online access for the entire university community eliminates the need not only to add an adequate number of copies of in-demand titles to a library's holdings, but also consistently having to purchase replacement copies for print books that are lost or damaged. As a result of our growing collection as well as HEB's efforts to optimize usage among its subscribers, we are happy to report a usage uptick of 20% between the second half of 2015 and the first half of 2016. Collection usage is thus at an all-time high. HEB is eager to ensure our subscribers are getting the most out of our resource. Whether you are an existing subscriber or thinking of subscribing, and would like to schedule a webinar to have our staff provide you with an overview of the collection, please contact us at subscriptions@hebook.org and we'd be happy to set this up. For the first half of 2016, Benedict Anderson's Imagined Communities is once again at the top of the list of most frequently accessed books in the ACLS Humanities E-Book (HEB) collection, as has been the case for the past several periods. Clifford Geertz's The Interpretation of Cultures and Henry Jenkins's Convergence Culture: Where Old and New Media Collide, this time in second and third place respectively, have also tended to consistently appear near the top. 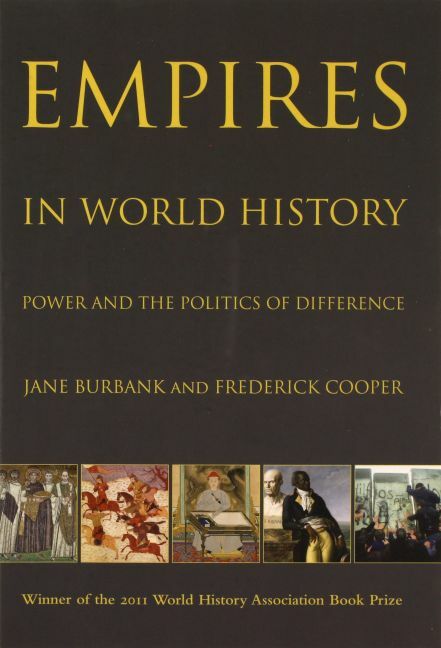 New to this list are three diverse books: Empires in World History by Jane Burbank and Frederick Cooper, a volume detailing how empires predating the modern nation-state relied on differences among populations in order to wield power, and winner of the 2011 World History Association Bentley Book Prize; Silencing the Past by Haitian anthropologist Michel-Ralph Trouillot, an examination of how history is both written and selectively silenced by historians; and National Book Award Finalist Neighbors by Jan Tomasz Gross, which investigates an incident in which Jewish citizens in a German-occupied Polish village during World War II were murdered not by the occupiers, but by fellow Poles.